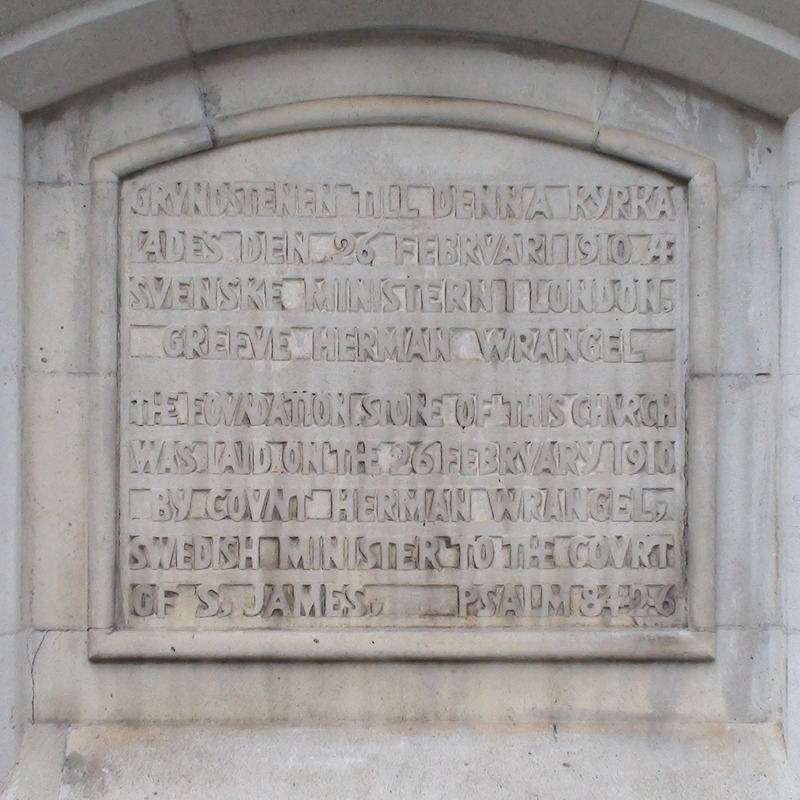 Grundstenen till denna kyrka lades den 26 Februari 1910 AF Svenske Ministern i London, Grefve Herman Wrangel. 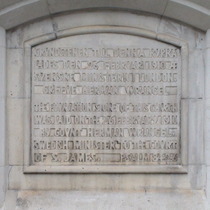 The foundation stone of this church was laid on the 26 February 1910 by Count Herman Wrangel. Swedish Minister to the Court of St James. Built in 1911, the architects were Herbert Wigglesworth (1866 - 1949) and Axel H. Haig (1935 - 1921). This is the Ulrika Eleonora church, the same name as the church it replaced in E1. Swedish Ambassador in London 1906-20.